Dave Lackie -Win a “Happy Birthday, Clinique!” Beauty Bundle! Win this “Happy Birthday, Clinique!” Giveaway! Iconic American skincare brand Clinique is celebrating its 50th anniversary this year! Created by Esteé Lauder and Vogue Beauty Director Carol Phillips, the company started with the mantra that great skin can be created. By using good quality ingredients and being faithful to a skincare regime, anyone could create glowing, healthy skin. It’s a philosophy that remains to this day. 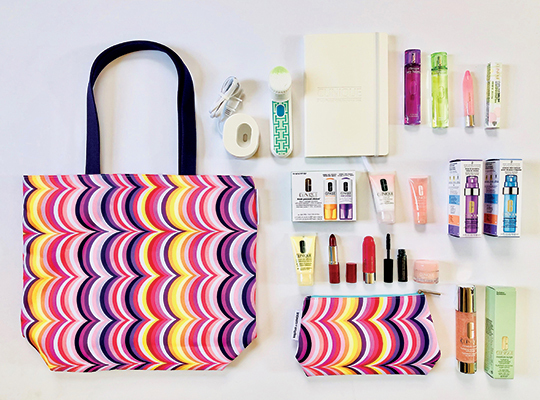 I’m celebrating Clinique’s birthday with this special travel-ready giveaway. I will be drawing one lucky winner three weeks from today. Good luck to everyone who enters. Wishing everyone luck in this special Clinique birthday giveaway!! And wishing Clinique another successful five decades! !